Kimberly is an Associate Lawyer at MacDonald & Associates, a law firm specializing in Canadian employment law. Kimberly has a diverse professional background. She articled at a prominent Toronto insurance defence law firm, where she gained experience in all stages of litigation including discoveries, motions, mediations and trials. Kimberly is committed to achieving beneficial outcomes for clients through well-crafted legal arguments and effective advocacy. Following articling, Kimberly worked as an Independent Legal Consultant. She provided litigation support on major files and conducted evidentiary discovery on various matters, including billion dollar class action lawsuits. 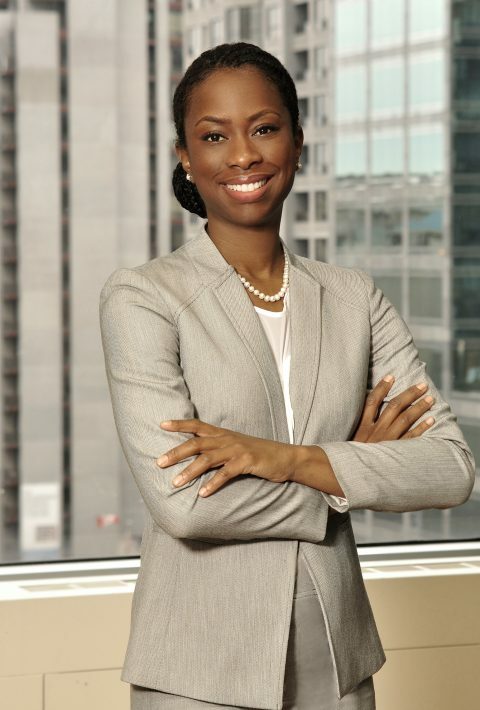 She also has experience in transactional due diligence and contract review. Employment law is a natural fit for Kimberly given her innate sense of justice and passion for advocacy. While attending Osgoode Hall Law School, she volunteered with the Family Law Project of Pro Bono Students Canada, assisting unrepresented litigants. Kimberly is keenly interested in youth academic achievement and empowerment. While pursuing undergraduate studies at the University of Western Ontario, she spent a summer in the Caribbean teaching reading and writing skills to high school aged children in under-served communities, through a local non-profit. Kimberly enjoys speaking French and loves the outdoors. In her free time, she can be found at an upbeat spin class or hitting the gym. Most of all, Kimberly values the legal quest for just and equitable outcomes and, in her personal life, cherishes time spent with family and loved ones.